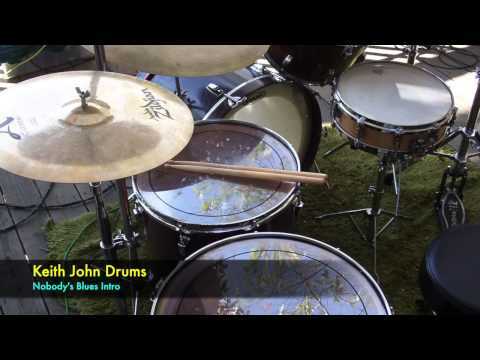 You will learn to read drum music and/or write and play drum parts. You will learn snare drum technique and drum set skills. I have experience in the MUSIC BUSINESS, so students will learn not only about the MUSIC, but also about the BUSINESS should they have professional career related questions. I have taught drum set and snare technique for over 25 years. The majority of students study with me for years. Several of my students have gone on to major music schools such as Berklee College of Music and several are working with major recording acts such as Linkin Park, Adam Lambert, Fall Out Boy, Paul McCartney and others. a global community of music educators who are committed to inspiring the next generation of lifelong musicians. Our program provides music teachers with access to resources and other tools to help support their role in education. The Education Collective will grow to include opportunities to network with other teachers, share your knowledge and content, and attend special educational events. Our goal is to support those that support the future of music. Professional Drum Teachers Guild&rsquo;s Mission Statement: To provide a resource for serious drum educators to share, nurture, and be held accountable to a higher standard while also educating the public on what qualities to look for when choosing a drum educator. Education is a priority at Sabian. Not only do we support hundreds of clinics around the globe each year, we also support education in schools, provide funding for scholarships and are actively involved as sponsors with collegiate ensembles and drum corps. Keith not only plays drums he also sings !!! Keith J. - and Alex Van Halen with Students !! Keith inspired my teenage daughter to keep practicing and playing through a mixture of flexibility and tough love. I went to Keith looking for a drum teacher, and came out with so much more. Keith is patient and caring, and will forever be the voice in my head telling me to slow down and be methodical. He's very easy to talk to and be taught by, and I would recommend him to anyone! My son started a a brand new drum student several years ago and he has advanced to become Section Leader of his HS Percussion section since studying with Keith. Keith also teaches him new songs on his drum set broadening his musical talents. I highly recommend Keith if you are looking for a teacher that's patient, offers fantastic lessons and is passionate about the instrument ! Its obvious Keith loves the drums and loves teaching. Keith is the best !!! I have had many drum teachers in my life but none with the patience and expertise that Keith demonstrates. He has played with many famous musicians and he gladly shares his experiences with you. None of my other local teachers have the knowledge or experience he has. I strongly recommend Keith to any student, Beginner, Intermediate or Advanced. Plus you will have a good time !!! My 6th grader has been taking drum lessons with Keith for the past 2 years and he’s really enjoyed it and he’s improved tremendously! Keith is great with young students. I am 39 years old now and have been playing drums since I was a kid. I also learned to read music when I was a kid too. However, I had stopped playing for many years and consequently my playing and reading became really rusty. But then I decided to pick it up again and reverb signed me up with Keith. After 24 lessons, my playing and reading have improved substantially and Keith helped me regain my passion for playing and confidence behind the kit. 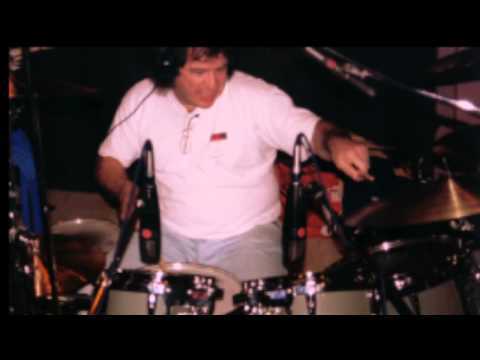 He is a great teacher and drummer, which shouldn't surprise anyone since he has decades of experience as a drummer/musician in the music industry. His easy-going personality made challenging lessons fun and his encouragement helped really motivate me to get better. I would definitely recommend Keith as an instructor, whether you're young or old, beginner or advanced. You'll even get a good friend out of it too. Keith John has gone above and beyond the call of duty for a drum teacher. Over several years of taking his lessons I have noticed an incredible change in my playing. He encourages his students to follow their passion for music and tells amazing stories about his life as a professional musician. I highly recommend taking lessons from him: he is incredibly knowledgeable and his words of encouragement have everlasting worth. Keith not only taught me how to read drum music, but he encouraged me relentlessly when it sometimes became challenging, as things worth while often are. He explained the ever important role of 'time management' in music and how it not only affects music, but also that it affects every aspect of our lives. Keith has been a mentor and also a friend. As a person with my own successes in the industry, I have found a profound inspiration from Keith. I cherish our 30 min together and wouldn't trade them for anything. I highly recommend Keith as a drum teacher for ALL ages. Keith is an incredible instructor! At each lesson, he always makes you feel that making you a better drummer is more important than anything else for him during that 1/2 hour. I have been taking lessons from Keith for about 2 years. I am a 55 year old woman who took lessons as a child and wanted to continue learning where I left off so many years ago. Keith is exceptional at identifying your weak spots and giving you very helpful and practical techniques to strengthen them. With Keith as my instructor, I have learned to read music and my skill as a drummer has improved enormously. He has so much knowledge about all aspects of drumming. He is incredibly passionate about drumming as a performer, and conveys that same passion when teaching his students. He is just as effective with very young students as he is with older students (like me)! I would recommend him as an instructor to anyone with the desire to learn all aspects of becoming a drummer. But Keith's such a great teacher that I asked him to give me the time slot right after my son's lesson. When that time slot opened up I eagerly took it. I've had about 3 or 4 lessons so far and am really learning a lot. What I've learned is even improving my bass and guitar playing. I'm seeing rhythm in a different light and am even feeling like reading music may be something I'll soon be able to do. He's a great teacher and a really great guy. He's got a wealth of knowledge and experience that could surely fill a book. I'd buy a copy for sure. I have been receiving instruction from Keith for several years now. As an older student I appreciate his patience and style of instruction. He has become a great friend and mentor and his knowledge/experience in the drumming realm is boundless. He has a great love for music and in particular drumming. I would HIGHLY recommend him for anyone who wants to learn or take their skills to a higher level. He is a great instructor and a great person ! I've been seeing Keith for about 6 months now, I've been drumming for about 4 years, I'm 35 now. I wanted to progress my drumming ability beyond what I learned in the past few years. I originally just wanted to meet for a few lessons to critique my technique, now I see him week to week. I felt Keith was the right guy because he's a seasoned and passionate drummer. He learned directly from the masters, ones who literally wrote the books on modern drumming and shaped modern sound. In a short amount of time he's identified many of my bad habits and helped me to correct them. My technique and grip has improved night and day, I can drum with much more finesse and speed after adopting and practicing his techniques. He urged me to learn to sight read, something I didn't really consider, and now I surprise when I practice myself because I always thought it was too much effort. After practicing his lessons, my independence between limbs, especially left hand on the snare - I didn't think I could do it this easily. I get a lot out of my time with Keith, and I go out of my way to see him weekly. I see kids as young as 5 absolutely jamming in his studio, and older folks too, older than me. His teaching demeanor and general vibe is professional and encouraging. He has a real passion for drums, absolutely key in finding the right teacher. So in short, if you want to step your drumming up, or if your kids need lessons, Keith is your guy. I have been taking drum lessons from Keith for a little over a year now. When I first started, I didn't even know how to hold a set a drum sticks! Now, I'm able read through sheet music, understand and play the beats. Keith has been great at pushing my limits, and helping me achieve the next level in each lesson. Whether that's been adding another drum beat into the mix, or pushing the speed at which I'm comfortable playing. Keith is incredibly passionate about the drums, and teaching his students. I truly enjoy and look forward to each lesson! I took up the drums at age 35 and took lessons with Keith for about a year - I give him my highest recommendation and would encourage other prospective drummers to seek him out! He has a contagious enthusiasm for both music and teaching, and I genuinely looked forward to my lessons. Learning drums (particularly as an adult) is a potentially frustrating endeavor, but Keith's methods emphasize constant progress: with every lesson I could feel and hear myself getting better. Practicing never felt like drudgery; rather, he motivated me to continue to learn at a comfortable pace. This has all be done with a great sense of humor and a genuine love for drumming. I would highly recommend him! Keith is an amazing teacher who instills not only the knowledge of rhythm and technique but also the love for music. He teaches important lessons in self-discipline and musical styles that make his instruction invaluable. Five stars don't do him justice; highly recommend! Fun! Cool dude with great attitude. I always enjoy my drumming lessons with Keith. Aside from being an all around kindhearted and fun individual, he is an extremely knowledgeable, experienced and patient instructor. He has the rare ability to distill his knowledge and experience, and then convey it to the student in a way that is understandable so that the student is able to apply it. As a result, improvement is fast and fun in the process. Additionally, as an adult beginner, time for practice as well as instruction comes at a premium, thereby making his effective teaching style even more valuable. Thanks Keith. I'm an "older" student who picked up the drums again after a many-years absence. Keith made my reintroduction awesome. He's a very talented musician who brings a passion and enthusiasm to the drums and his students. I always looked forward to my weekly lessons with him both because I was eager to learn new techniques, beats, etc. but also because I got a change to hang with Keith for 30 minutes and "talk drums." No matter your skill level, I highly recommend Keith to help guide you on your drumming journey. Keith is a great teacher for my 10 year old son! He's experienced, very talented, and extremely patient. And he knows how to communicate and get through to my son (which I know can be a challenge). We've really enjoyed the lessons! My son is 9 and has been playing for over four years. Keith has done a great job pointing out some fundamental flaws in his technique that would have plagued my son for years. It's been an invaluable experience to work with a teacher that is so good with kids and has a lifetime of knowledge of professional drumming. The stories about the old "rock days" keep it entertaining. I am an older person starting to learn the drums. Keith has been VERY patient with me and encouraging. He has made the technique and the learning fun. 3 months ago our 7 year old daughter decided she wanted to learn how to play the drums, so naturally we (I mean my husband..lol) bought her an electric drum set (early Christmas present). However at this time she had never played and knew nothing about reading music. Fortunately we found Keith online and it has been an amazing experience. Keith was patient and made learning to play and read music fun. My daughter learned so much and more importantly looked forward to her lessons each week. Unfortunately due to military orders we had to leave the area otherwise we would have stayed with Keith as her teach for a very long time. Keith is absolutely fantastic. My son began lessons with him when he turned nine and Keith has made the whole learning music process extremely enjoyable for him. Always full of encouragement, patience, and enthusiasm, the lessons show how much Keith loves music and the drums and how much he invests in each student, getting to know them as people more than just as drum students. We thought we might have to try a few teachers out before settling on someone but after one or two lessons, we knew we would be thrilled to have Keith teach our son for years to come. Been my drum teacher since I was 4 years old! i would not be where I am today if not what I have learned from Keith, both musically and in life lessons. Keith is fantastic. Our son has been taking drum lessons with him for over a year now and has improved quite a bit. Keith always is extremely friendly and has a positive attitude. In addition to just music lessons, Keith gives you helpful hints and tips, as well as awesome insight about the music industry in general. Very friendly and personable teacher. Patient with our son while also encouraging him to learn. He has a great balance of all the attributes to make up a wonderful teacher. Most importantly, he makes lessons fun while at the same time teaching and helping our son learn and grow. Keith is a great teacher, and I felt like I learned something new every week. He teaches very clearly, and is enthusiastic about music. I would definitely recommend him as a teacher. Great personality. My son is so excited with his first lesson and couldn't wait till next lesson. Right away he practiced at home what he learned today. Keep it up. As an older beginner, I appreciate Keith's patience and attention to detail. It is key to help get good technique early on in the learning process. Keith has lots of patience and answers all my questions. He's teaching me to read music and play drums and I'm having a great time! Keith is a fantastic personality. My 7 year old son has been studying under him since Santa brought a junior kit to the home. He is patient and strikes just the right tone during the lessons between serious and fun. My son responds well to him and I also enjoy observing the lessons. Keith's long music background comes through immediately. Doing what he loves for his life is quite an accomplishment that I envy. 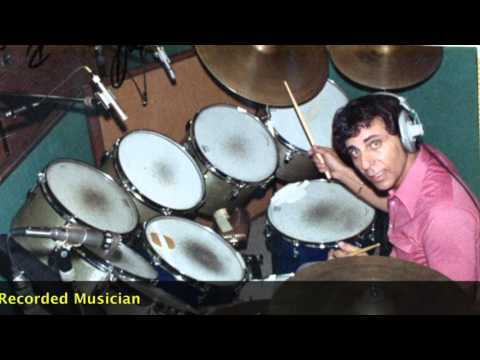 I don't hesitate to recommend him to anyone looking to learn the Drums. Keith is a wonderful drum teacher full of professional experience. He makes the learning very easy and full of fun. I am a 26 adult with almost no music experience. Keith taught me how to read musical notes as well as how to hold drum sticks. Playing drum with him and learning from him is a very enjoyable experience. Highly recommend!! I had joined Keith just based on the star ratings here and now I think it is my time to give back to the community. It was not until a month after being his student that I read all the reviews below (I had taken a leap of faith). Until then, I didn't know that Keith has performed/ managed such famous bands. That's what defines Keith- a highly experienced performer, a great teacher, and a very down to earth and extremely humble person. I took some extra time getting used to the musical notes and holding the sticks. Keith was very patient with me and recognized exactly where I was lacking. His method of teaching is wonderful and very adaptive to students' needs. It is a delight to learn from him every week. I'm an older student with no ambitions of making drums a career at this stage in my life. I just wanted to learn what I had been putting of for decades and become a respectable amateur. Keith starts with the fundamentals and mixes in a bit of "fun' now and again to keep things interesting. His experience is evident and he tailors the lessons to the student's skill level and goals which is important since no two students are alike. While not directly relevant to me, his industry experience and the stories he shares are fascinating and keeps the lessons interesting. There is more to music then just notes on a page. I highly recommend Keith to anyone who want to learn this wonderfully frustrating instrument. Keith is not only incredibly knowledgeable about drumming and music in general, but he is also fun. He has a great sense of humor, so if you're a beginner like I am, you will immediately feel at ease the second you walk in the door of his studio. He also has some really good stories from the days he spent on the road as a successful professional drummer. I highly recommend him to anyone--beginners, experts, and everyone in between. I've been playing drums for almost 20 years - bands, tours and recording. I came to Keith to build speed, control and finesse and finally master some of the trickier hybrid rudiments. Keith developed an excellent program with achievable goals week to week and practical ways to apply new skills across the kit. Moving up a level seemed easy in the end - the sign of a quality teacher. Keith also identified and helped me to correct a technique flaw that was holding me back. I recommend Keith to drummers of all experience levels. Maybe one day he'll let me hit that signed, vintage ludwig BB snare too. Well, where to start....As a drummer, he is "virtuoso". I've been a drummer for quite a few year and found out about Keith through a friend. I was looking for a drum instructor/coach/colleague who I could use as a way to tune up, wait for it..............I found so much more in Keith. We spent a session analyzing my technique and Keith was quick to analyze and develop a plan to take me to the next, and next, and next level. As I'm the drummer in a substantial group "DC Stimulus",I often looked forward to meeting with Keith as someone who has been through the trials and tribulations before and was able to offer great advise Like gold this guy is! Back to the basics. Because of Keith, I (re)discovered the sooooooo important point building a drummers metaphorical castle on a sound foundation. If you're looking for someone to start with on you drummers journey or an experienced drummer who is looking for a coach who is vastly qualified to critique (therefore improve) your technique, Keith is your guy. Keith, I love you man!! I look forward to drumming with you again!!!!!!!!! When I first met Keith, or as I call him Coach, he went right to business. Took out my notebook, and in the 30 Minutes, I learned so much about music notes that I could go home and remember without looking at the book. He Is an AWESOME teacher and someone that I will always admire and look up to. He is very patient and gives a lot of similarities to what he went through years past to what I could handle now. The unfortunate part is that I had to cancel some classes because of my A/C and Heating job and he always had extra time during the day to squeeze me in. He will always be in my mind, and there is not a single day that goes by that i tap my fingers while listening to music and measuring the beats in a song. Its fun! And he got me in LOVE with drums even more. Coach, i know you are reading this, and I am glad you are, just want you to know I really appreciate your time with me and give me something to accomplish, which is learn something new in my life. Coach, you are the greatest and I hope new students who come to for training and help realize that it will be the best 30 minutes they can ever receive from any music teacher. GOOD LUCK!! My son really enjoys playing the drums under the instruction of Keith. Keith makes it fun and my child learns a lot with the suggested materials given to him. Keith also helps the parents by helping them understand what is needed for the student to learn. Keith keeps on top of communication and responds immediately with suggestions and looks out for deals to help support his students. Merkur is very happy you are his teacher. He is learning a lot and because of your lessons he feels confident about his senior project coming soon. He looks forward to every week for a new lesson. My personal opinion is that because of you he started playing drums again. Thank you very much! (Merkur's aunt and drum's lessons sponsor). Keith is an extrodinary drum teacher and most important role model for my son the past 5 years of him taking private lessons. He is my son's favorite and most influential music teacher! Not only has he taught my son drumming but also educates him on the buisness side of music for his future. I would highly recommend Keith to anyone wanting to learn Drums & Music in general ! I've been playing drums for ten years. When I started taking lessons with Keith a year and a half ago, it became a real milestone. Keith helped me go from a mediocre player to a true student of the instrument. His genuine passion for both drums and teaching is palpable and inspiring, and his lessons often even go beyond the practice room. Besides being a great teacher, he is also a great guy and a great friend, and I look forward to seeing him every week. Keith is a true professional who goes above and beyond !! Keith took my raw drumming son and turned him into a drumming and music lover. 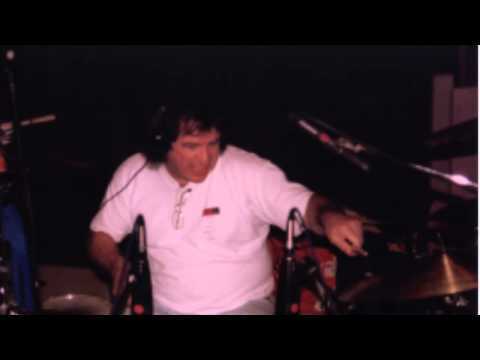 Keith not only taught my son how to play drums, he also more importantly taught him how to read music which was priceless for my son's music career and education. My son owes Keith so much for all his extra attention and encouragement which helped my son further his college music learning experience. My son today plays drums at the highest level and has placed number one on drum-set in his college music program. In summary, Keith is the BEST drumming instructor for anyone who truly wants to learn how to play drums. I have been taking lessons with Keith for over 5 years now, and he's the best instructor i've ever taken from. I originally went to him in High School because I wanted to attend music school. Keith taught me all the essentials and more to obtain a music degree and career in music. We studied all the basics like rudiments, technique, and reading, as well as groove, feel, and equipment. He is very knowledgable on the whole field of music and drums. He is not limited to only one style like most teachers I have scene, but rather is able to expand and open up every students horizons. Every lesson i have taken with Keith was very focused and i left feeling good about myself while wanting to push myself more to become better. In one lesson Keith can teach more than most other drum instructors. Its not just about one thing but rather he gives you the whole spectrum from triplets to making sure you have the right gear for the gig and the attitude. He even touches on little things like having spare heads in the car on gigs which has been a life saver for me, where as most teachers don't brush on the little things that are very important in a professional drummers life. Keith is more than just a teacher but has become a friend and a colleague, and pushes every student to be better and better. I started taking lessons from Keith after a long hiatus from playing the drums. At first my goal was to dust off the cobwebs and get back into playing as a hobby, but after a few months of studying with Keith, he inspired me to work towards gigging with a band. During my first few lessons, Keith evaluated my skill level and together we developed a program that built upon my current knowledge and then challenged me with new ideas and concepts. His positive feedback and enthusiasm eventually gave me the confidence to begin auditioning with bands and start earning money at paying gigs. Keith also provided valuable information from his extensive professional experience that helped me prepare for unplanned mishaps that can occur when gigging, such as knowing what to pack in an emergency tool kit and how to handle equipment failure without losing your cool. However, I have to say that the most important lesson I learned was how to lay down a solid groove and above all have fun. I took lessons for 7 years with Keith and I have never had a better teacher since, throughout high school and college. Keith always knew how to play any written rhythm, or sound out any obscure beat he heard, and he made them sound even better. I recommend him from beginners to very advanced because he will make lessons all the more fun (if that's possible) and always does so with a friendly atmosphere that will make going to lessons a highlight of the week.